Young child playing with a stringed instrument (mandolin?) as father? looks on. 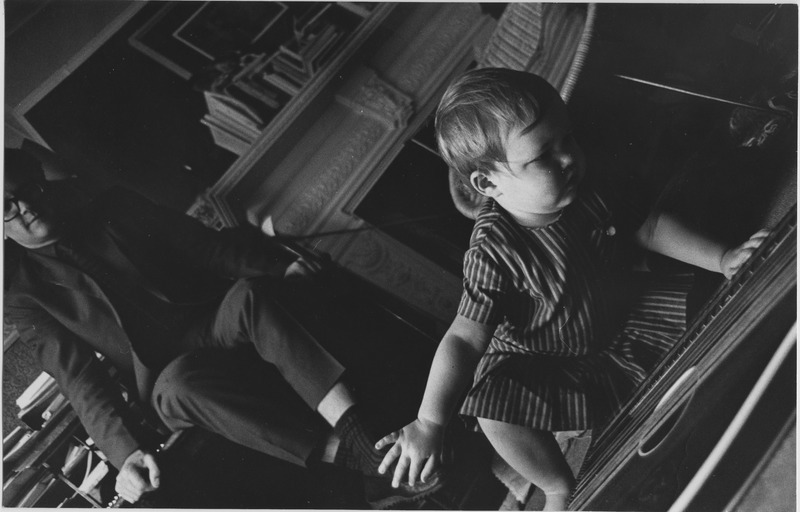 Serena Wadham , “Young child playing with a stringed instrument (mandolin?) as father? looks on.,” Morrab Library Photographic Archive, accessed April 19, 2019, http://photoarchive.morrablibrary.org.uk/items/show/15925.